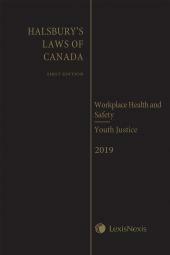 Written by Health and Safety experts, this comprehensive text guides readers through all aspects of Health, Safety and Environmental Systems Audits, providing background information, and helpful tools and templates to successfully navigate and prepare for an audit. Health, safety and environment management system audits determine how well an organization's policies, programs, practices and controls are designed and applied to ensure that due diligence has been exercised. Paul Maclean is the Founder and President of EEM Inc., a consultancy specializing in HSE management, stakeholder relations, impact assessment and business strategies for sustainable development. Paul received his MSc from McGill University and holds Environmental Management System Lead Auditor and Certified Environmental Auditor designations. He has been auditing HSE systems for more than 20 years. Gene Marie Shematek, M.Sc., CIH, ROH is the President of GMS & Associates, Ltd. She has extensive experience in Occupational Health and Safety – from designing and implementing health and safety programs to health and safety management system auditing, and to providing senior management with strategies and OHS measurement tools. Gene has worked in a variety of industries including both private and public sector organizations. In addition, she has designed and delivered many courses in OHS topics to institutions, organizations and universities in the US and Canada. Gene received her BA in Biology from Boston University and her M.Sc. in Occupational Health Sciences from McGill University. She also holds Certified Industrial Hygienist (CIH) and Registered occupational Hygienist (ROH) designations. 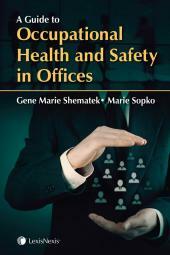 She is a co-author of Health, Safety and Environmental Management Systems Auditing. Peter Lineen is the Senior Director of Health, Safety and Emergency Preparedness at Enbridge Inc. He has over 25 years of HSE experience in the energy and forestry sectors, and was formerly the COO at the BC Forest Safety Council. 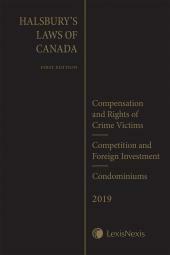 He is also a Canadian Registered Safety Professional with the Board of Canadian Registered Safety Professionals (BCRSP) and has served as the Chair of the Board of Directors for the BCRSP.